Celine eye mask is painted teal green, silver, and has metal and jewel accents. 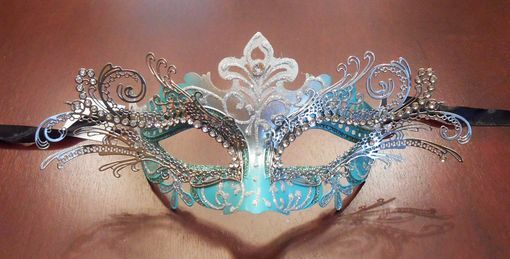 This upscale mask is great for Venetian style events. Comes with black ribbon ties.